Comparing Republicans to Nazis has long been a national pastime of the Democratic Party. 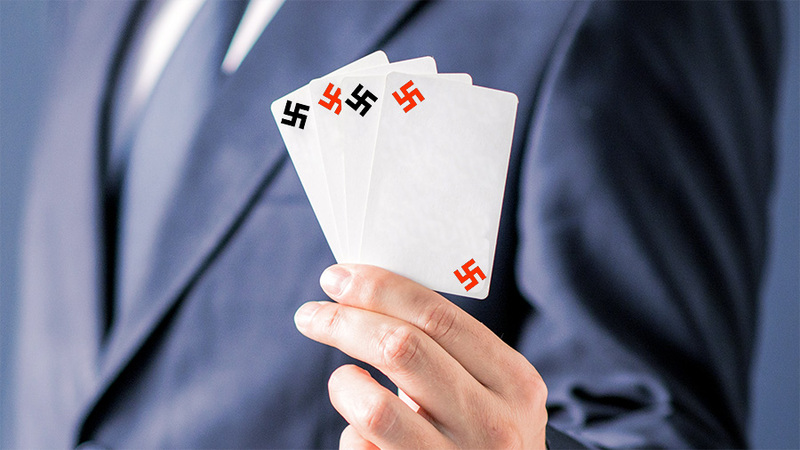 If not the Nazi card, it’s the race card or the sexist card or the homophobic card. This “I’m right; you’re evil” brand of politics has a lot to do with why voters elected Donald Trump, rather than Hillary “basket of deplorables” Clinton, to serve as our next president. COPYRIGHT 2016 LAURENCE A. ELDER. DISTRIBUTED BY CREATORS.COM.